Whenever Ivan Valenzuela turned on his television, he felt overwhelmed by the relentless news headlines pointing to the number of people shot and killed in Chicago the night before. He disliked the media’s distant approach to covering violence, he says, and thought the city deserved a more helpful message. So Valenzuela, a rising senior at Dr. Pedro Albizu Campos High School at the time, shared his concept with his Art Appreciation teacher, Brenda Wakai-Torres. She had reached out to Valenzuela and a few other students during summer 2016 to brainstorm ideas for an art project that would be displayed in Humboldt Park, he recalls. 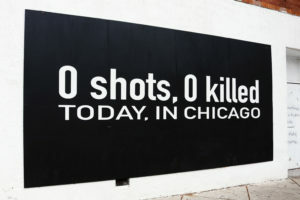 That August, Valenzuela’s ideal news headline turned into a 20-foot by 20-foot black and white art installation on a building in the 2700 block of West Division Street, near Paseo Boricua. 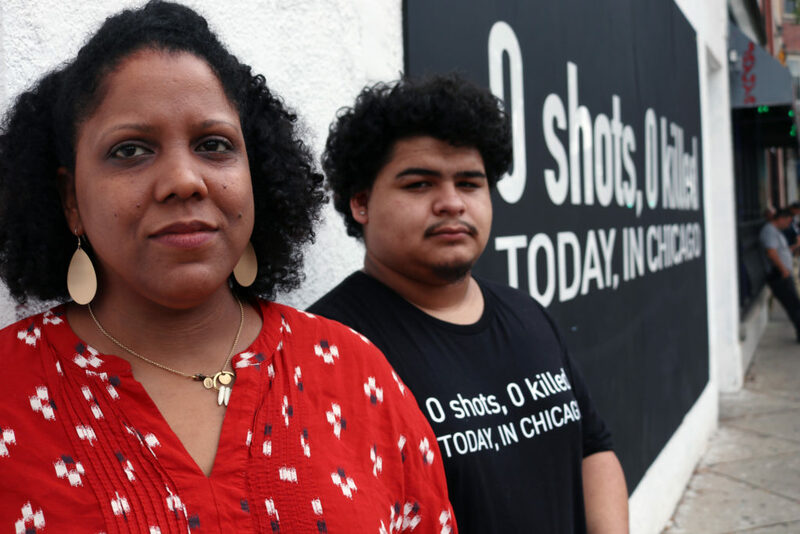 The mural, dubbed “Today Is Tomorrow,” is their way of addressing how normalized Chicago’s violence has become, and to the detriment of the city’s Latino and Black neighborhoods. She encouraged her students to do just that. 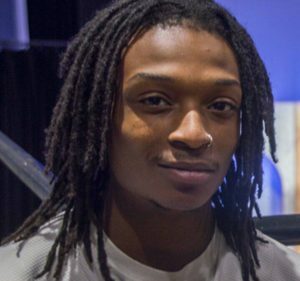 After transferring to a new teaching position at Chicago High School for the Arts, Wakai-Torres asked her new student, Steven Cooper, to join the “Today Is Tomorrow” team. This August, with a grant from the Safe & Peaceful Communities Fund, Cooper and Valenzuela put on an interactive performance in front of the mural. Then, they invited about 35 passersby to sit in on a fishbowl conversation. Participants sat at a table, picked a piece of paper out of the fishbowl in front of them, and discussed the word written on the paper. Topics ranged from policing and intra-community violence. The interactive performance showed Wakai-Torres, Valenzuela and Cooper that “Today Is Tomorrow” is more than a mural. It’s a movement that they hope to take to other neighborhoods across Chicago – whether that’s in the form of billboards, bumper stickers, T-shirts or transferring the installation to other locations. When people see the “Today Is Tomorrow” mural, Wakai-Torres wants them to see a message of hope and unity.